by Eugene Gendlin, Ph.D. 500,000 copies in print in seventeen languages. This is the original book that made Focusing available to the public. It breaks Focusing into six steps and has many examples. Many people give this little book to their friends as a gift. 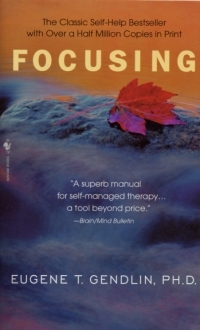 Therapists often keep copies in their waiting rooms to give to clients. This is a good beginning introduction to the process.